Valve’s Steam Link is one of the coolest little pieces of tech that almost no one purchased. It’s a device that lets PC gamers stream their games from a computer to a TV over a local network. According to people who actually bought the device, it did a fantastic job of making games playable with minimal latency. What Happened to the Steam Link? In spite of the quality and low cost of the device, the Steam Link never seemed to catch on. Perhaps PC gamers were too concerned with having any latency to feel comfortable relying on it to play their games. At times, Valve even discounted the Steam Link to as low as $2.50, which was an absolute steal for the $50 gadget. The Steam Link isn’t completely gone, though. 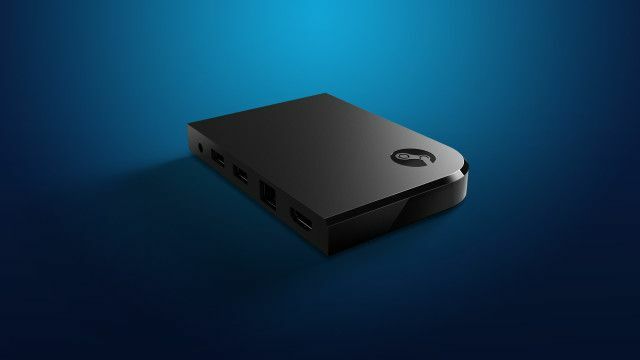 The name lives on through the Steam Link app, which offers similar streaming functionality without the need for physical hardware. Instead, it just streams to the devices you already own, such as your smartphone or tablet. Right now, it looks like most retailers are out of the Steam Link. For example, Amazon only has them listed from third-party sellers for $119. However, you can get it directly from the Steam Store for $2.50, but Valve estimates that it will take 4-8 days for you to receive your device once you place your order. If you’re interested in getting a Steam Link with a Steam Controller, Valve is offering the bundle for 64% off right now. Either way, if you want one, you’re going to want to jump on it, because they’re sure to run out soon. Explore more about: Steam Link. Amazon Music Is Now Free for Amazon Echo OwnersChromecast vs. Roku: Which One Is Best for You?